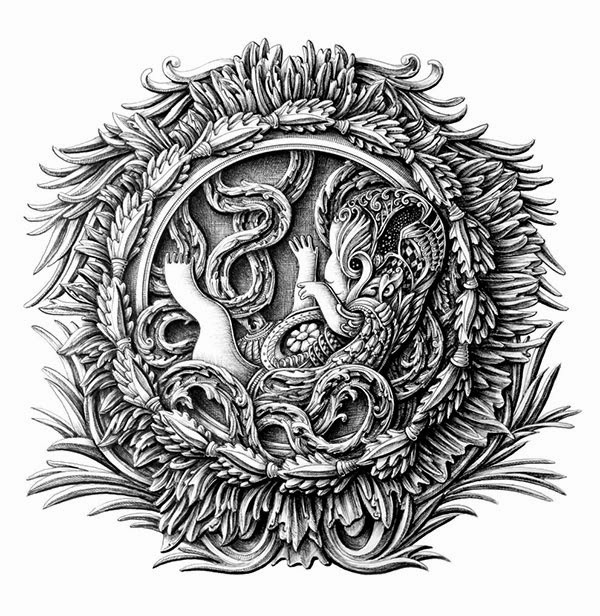 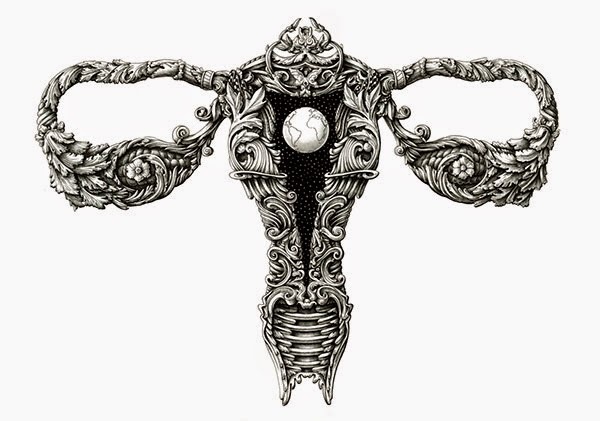 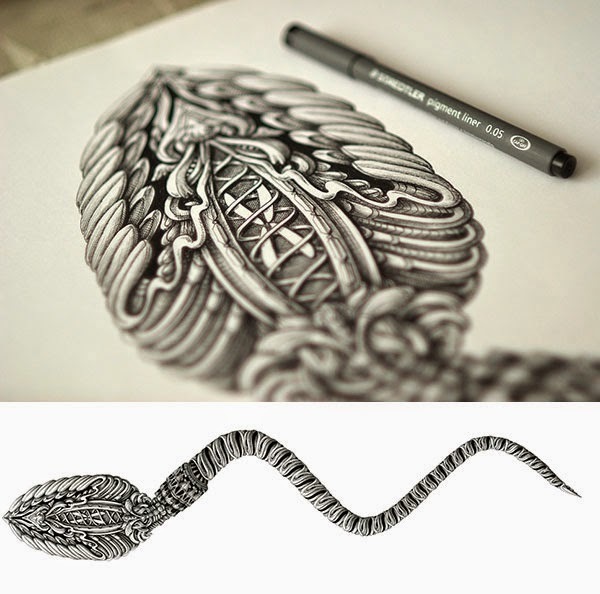 Ornate illustrations by Latvia-based artist Alex Konahin that continues his anatomy series. 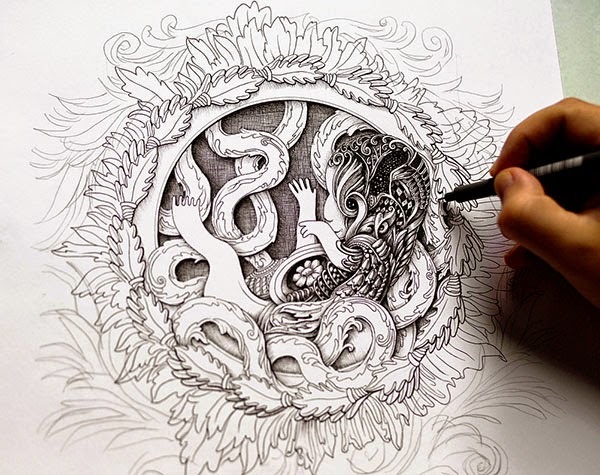 The drawings are dedicated to the creation of life using floral motifs that appears almost mechanical. 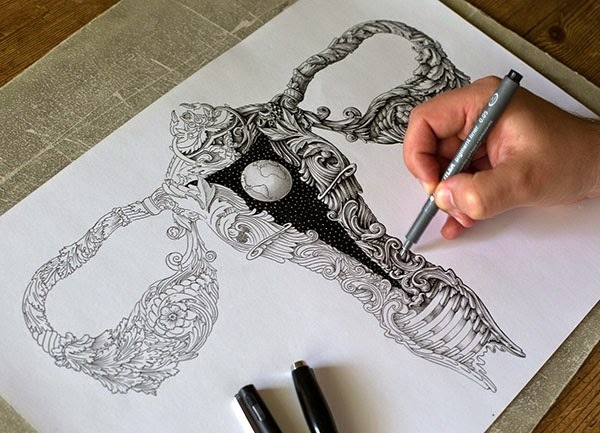 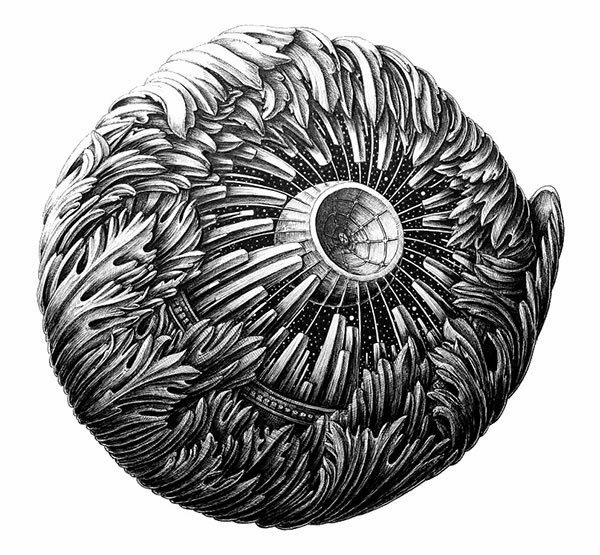 Using fineliners and dip pens, his intricate style and attention of detail are simply astonishing.